It doesn't get any deeper than this! 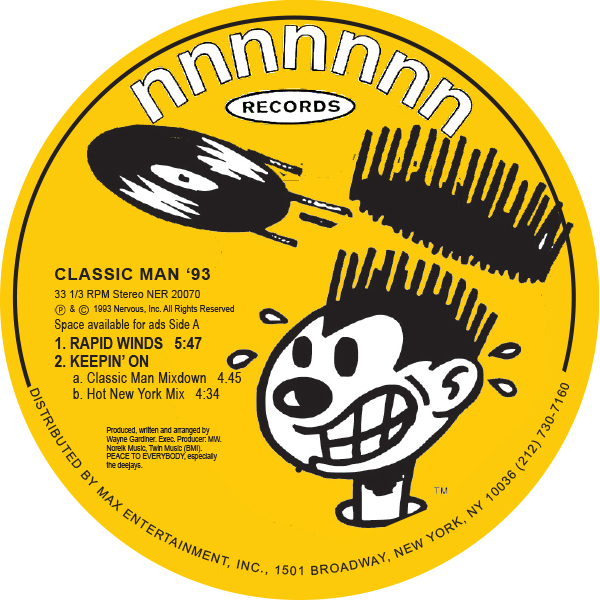 A classic, overlooked EP from Wayne Gardiner aka Classic Man from 1993 on the legendary Nervous Records label, "No More Mind Games" is up there with the classics of it's era. That sparse, jazzy, soulful, early 90's NYC edge is present in all the tracks here and the whole EP is solid from start to finish, all killer, no filler! Kicking things off, "Rapid Winds" is a vibe heavy, pad laden beauty that rolls along gently and touches all the right spots while the following 2 mixes of "Keepin On" chop up D-Train and Raw Silk vocal snippets into a bouncing organ driven banger, keeping the Disco spirit alive in true Garage fashion! Rounding out the EP is 2 storming alternate mixes of "No More Mind Games", built around a vocal sample lifted from the accapella version of Quests classic "Mind Games", used here to devastating effect alongside Gardiners deep vibes and choppy drums. Serious business. 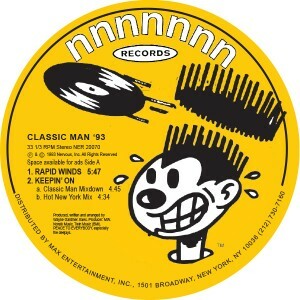 "No More Mind Games" has long been a sought after EP by discerning House lovers and is a true underground classic. Re-mastered and re-pressed here, for the first time, in conjunction with Nervous Records, NYC. Now's your chance to own a copy of a forgotten club classic from the golden era of NYC House music.